Hello, Guys are you looking for the Common Law Admission Test Application Form 2018? Then you are at the correct place because here, in this article we are going to share all the detailed information related to the CLAT Registration form 2018 in the below section of the post. All the interested participants must read this given article attentively and collect all the details from here. You may apply for this application form via online mode at the official website of the CLAT that is www.clat.ac.in. More details you may bookmark our careerjobs360 official web page and get all the latest news from here. The Common Law Admission Test is going to conduct on 13th May 2018 at the various examination centers in PAN India. Candidates who want to appear in the CLAT Examination then they may apply online for this CLAT Notification 2018 from the official website of the department on or before the deadline date which is 31st March 2018 (Till 11:59 PM). Each and Every year a huge number of aspirants appeared in this examination. It is the all India entrance examination which is organized every year whose score allows aspirants to get the admission in the various courses like LLB & LLM in the Law Colleges in India. The examination is organized at 19 National Law Universities. The application procedure started on 1st January 2018. For other information, related to the CLAT Application Form 2018 such as academic qualification, important dates etc are provided below in the article. Common Law Admission Test is shortly named as CLAT. It is a centralized test for admission to 19 National Law Universities in Our Country India. 43 other education institutes & two public sectors are also eligible to use these marks. The test is organized by the 18 participating law schools in a rotation, in the order of their formation, starting with National Law School of India University which organizing CLAT-2008, and up to Chanakya National Law University which organized CLAT-2017. The Common Law Admission Test is taken after the Higher Secondary Written Examination or the 12th grade for admission to integrated under graduation courses in Law and after Graduation in Law for Master of Laws(LL.M) courses organized by these law universities. The 2-hour admission test consists of the objective type covering questions on Elementary Maths or Numerical Ability, English with Comprehension, GK &Current affairs, Legal Aptitude & Legal Awareness and Logical Reasoning. 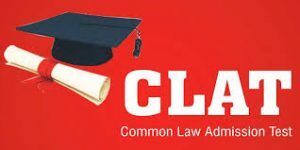 CLAT allows participants to get admission in the well reputed Law Universities & College in India in the programmes of LLM & LLB. CLAT exam taken on 13th May in the year 2018, it will also happen by Rajiv Gandhi National University of Law, Patiala. And the process of application submission will be commenced on 1st January 2018 to 31st March 2018. More information related to the CLAT 2018 entrance examination is mentioned below in the article. Aspirants who were waiting for the CLAT Examination 2018 those can get here the complete details. Participants can Submit the CLAT Application Form 2018 from 01st January 2018. For UG Courses: Interested candidates must have completed the 10+2 examination or equivalent certificate (appearing can also apply) from the government recognized board/Institute with 45% marks for General & 40% Marks for Reserved Category. For PG Courses: Interested candidates must have completed the LLB or 5 years integrated LLB degree with 55% marks (50% for SC/ST candidates) from recognized University/Institute. Selection Process: The Merit List will be prepared on the basis of maxi. marks score by the aspirants and the total no. of seats empty/available. And the merit list will contain the list of selected and qualified participants. Closing date of Online Registration Form: 31st March 2018 (Till 11:59 PM). How to fill the Common Law Admission Test Registration Form 2018? Firstly, candidates must have to go to the official website of CLAT that is clat.ac.in. Then, Candidates have to apply through login account mentioned on the website. Now fill all the asked details on the application form without making any mistake. Now upload your recent passport size photograph and signature on the application form. Attach your scanned documents which are required which includes Mark Sheet of 10th and 12th with Certificate, Caste Certificate Etc with the form. Then pay the application form fee through Debit/Credit Card as per the category. Now click on submit tab button for the submission of the application. You can take a Printout copy of the application form for your record. Note the Login ID & Password which can be sue for getting updates like Admit Card, Result Etc. In this article, we describe all the details about the CLAT Application Form 2018. The official website of the department from which applicants can apply is mentioned at the last of this article. If any of the candidates face any kind of problem they can comment on the below comment box then we will help you as soon as possible. For more details about the upcoming vacancy, admit cards, results etc. candidates can check our website and must visit it regularly.